Since I can't go to Kyomaf this weekend I'm glad the rest of my Comiket loot turned up to help me forget my jealousy. There's quite a lot, but given the amount of BL I'll start with something safer. 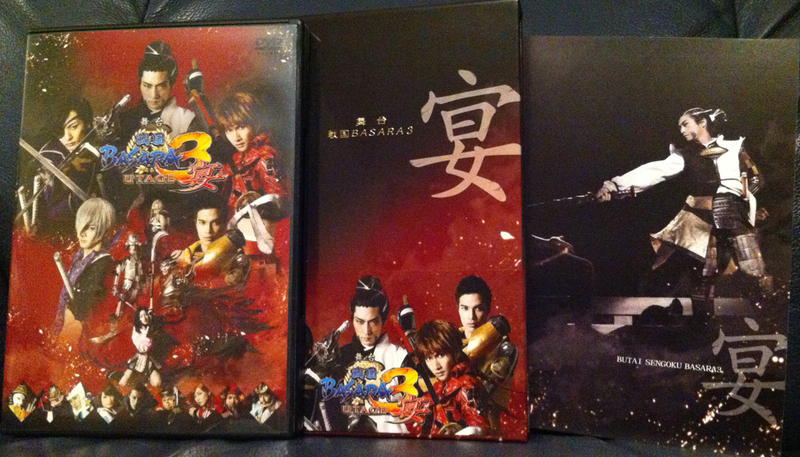 The Butai Sengoku Basara 3 Utage special edition DVD arrived! 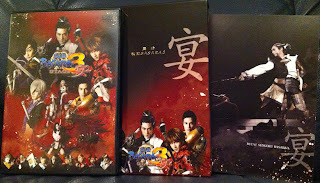 Breaking out from the pretty colours of the last few stage plays, Utage has gone with an ominous crimson and black design. It's going straight into my DVD player as soon as I have a few hours free to devote to watching it properly.